The pathophysiology of the intervertebral discs plays a significant role in the people’s life quality. There is not adequate research done in the pathogenesis and treatment of intervertebral disc degeneration. Alternately, self-educated physiology offers a novel and noninvasive method to reverse the degenerated discs. In this single case study, report attempts have been made to highlight the effect of the self-educative physiology, on magnetic resonance imaging investigations, of progressive healing, on the degenerated intervertebral discs. 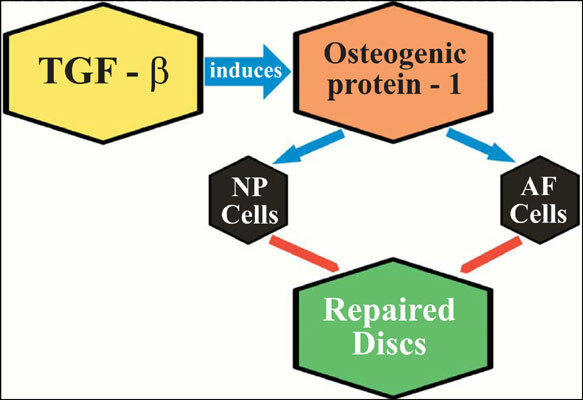 Based on this novel method, an effort has been made to review literature on the degeneration of intervertebral discs and available mode of treatments and then to propose a hypothesis for the biochemical mechanisms of healing. The idea is that transforming growth factor-β1 from seminal plasma secretions may contribute to releasing the osteogenic protein- 1 which induces nucleus pulposus and annulus fibrosus cells in intervertebral discs for repairs. In addition, the patient’s medical history is presented with background information. Biological transformations, biology, genome, intervertebral disc degeneration, mitochondria, neurology, seminal secretions.